It's easier than you think to stock up on Emergency Food. All you have to do is pick your favorites and keep them stored in case you need them. 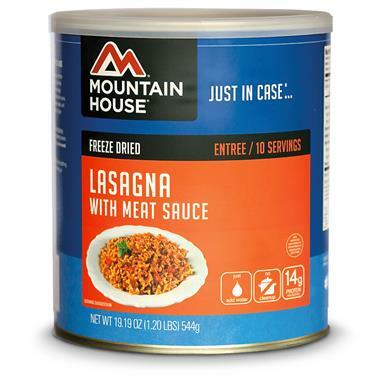 If Lasagna is one of your favorites, then Mountain House® has your Emergency Food supply covered! Also great for camping, hiking trips and everyday meals…it's easy to prepare and boasts a 30-year shelf life. Unlike some other Emergency Food, Mountain House® foods are fully cooked before they're freeze-dried and packaged. And there's no mystery to their cooking methods…they use cook pots, just like you would at home, only a LOT bigger! 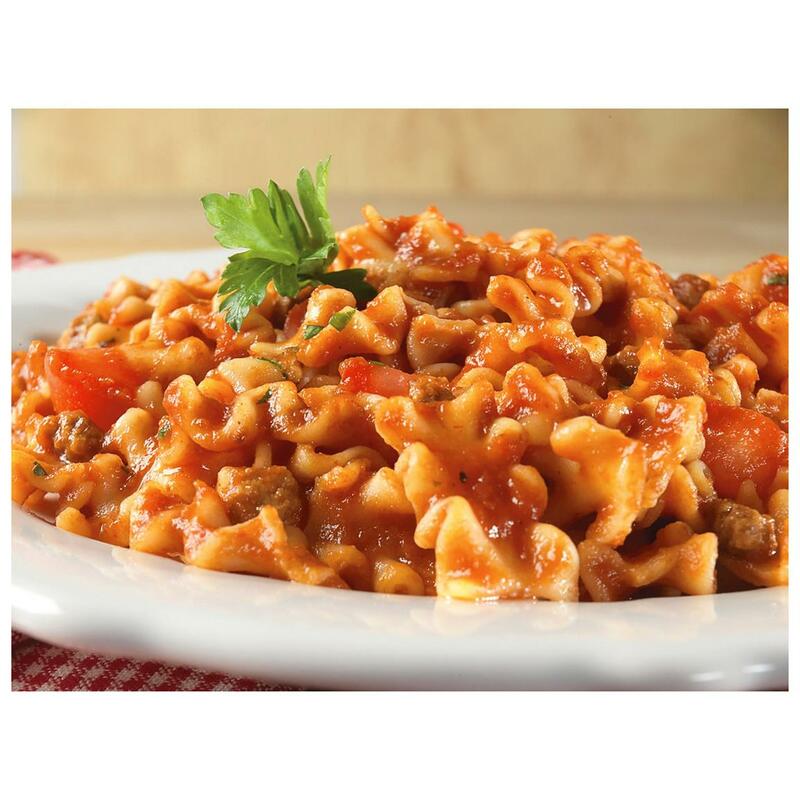 When you add boiling water and and enjoy their delicious Lasagna with Meat Sauce, you'll taste that homestyle quality. It's time to get ready. Order your Emergency Food today! 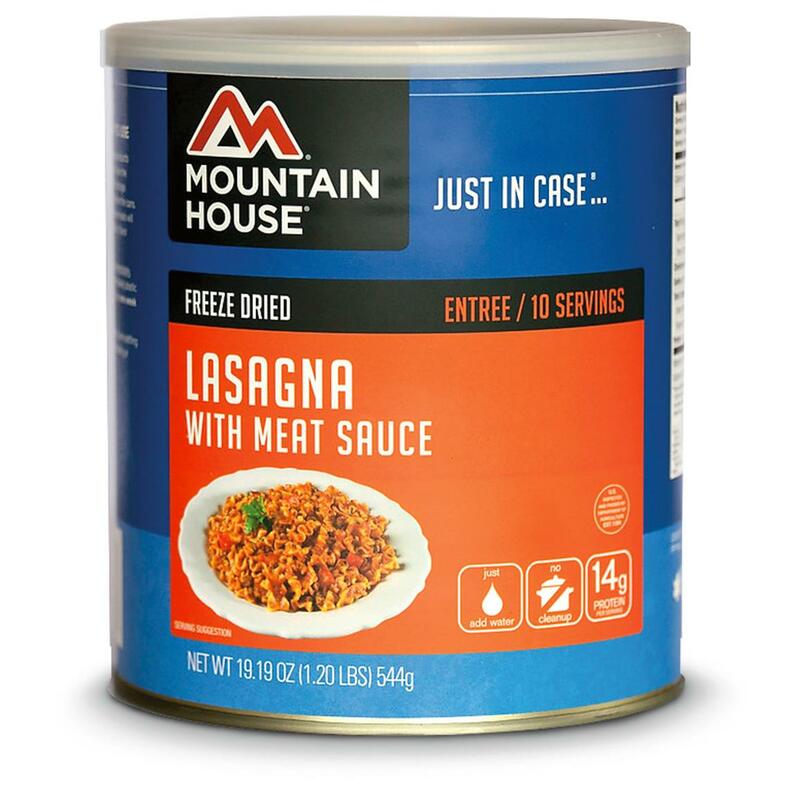 Mountain House Emergency Food Freeze-Dried Lasagna with Meat Sauce, 10 Servings is rated 5.0 out of 5 by 2. Rated 5 out of 5 by Fatboy from Great Price, Long Term Storage. I buy this for long term storage, instead of having to rotate out tomato soup and pork and beans every two years. This product has a shelf life of 25 years if stored at between 40-70deg. Best on the cooler side, (40deg). I have ate these and once re-hydrated them you won't tell the difference from Mountain House to any name brand restaurant. Keep in mind you'll have to keep more water stored up to re-hydrate the de-hydrated food. Thats where the Black (Pickel) barrels that SG has comes in handy. The 58 gallon type. Rated 5 out of 5 by GARY from What can be said but just that Mountain House is the beast of the freeze dried emergency food or backing food there is!